the velvet bird: Summer, please stay away forever! Summer, please stay away forever! ...just kidding! Although that did happen in other areas like Atlanta recently, that's not happening in the southern, coastal part of the state. These are (long overdue) pictures from our Washington trip. It started snowing like crazy the night we got there, on top of the snow that was already there. The drive from Seattle over the mountains to where my family lives in central Washington is WONDERFUL in the wintertime!! There will literally be like 10 feet of snow making huge snow walls lining the interstate. It feels somewhat what I believe parts of wintery Narnia probably look like (don't get me started on my theory that parts of Oregon must be really be Narnia). I didn't really take very many pictures of our trip, I was too busy chasing around nephews and hiding as Patrick held wrestling matches that included two little boys flying through the air and attaching themselves to Patrick's legs/arms. They don't have any uncles that live near them. They are deprived. Speaking of nephews, here is a cute picture of them. 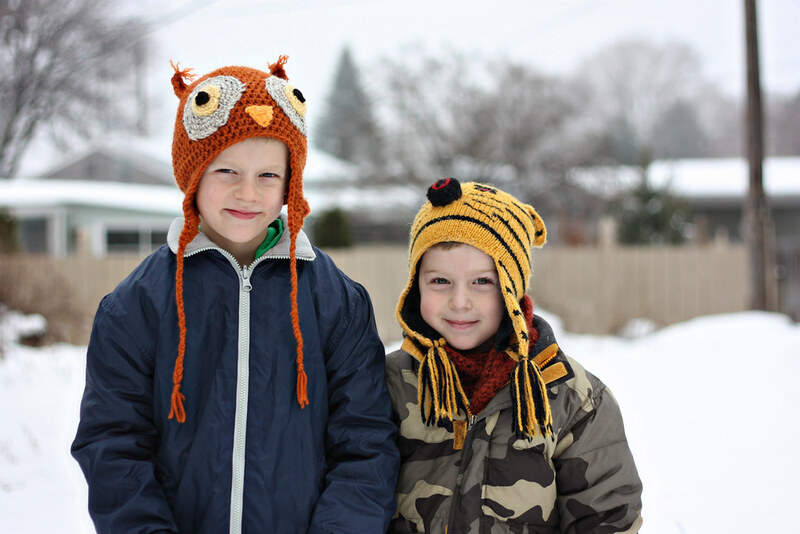 My mom had originally made this owl hat with my older nephew in mind. Buuuut he said he would be embarrassed to wear it to school, he is in first grade afterall. So I shamelessly claimed it as my own. Thanks mom. don't you want to hug and squish them??? I know all of you ladies in much much colder parts of the world are wishing for spring/summer, but not me. I'd rather die. Late spring/summer in the South is the absolute worst... it's at the top of my list of things to loathe. So I would like to start a petition to get the cooler weather to stay for good. I can feel winter slipping away already.... 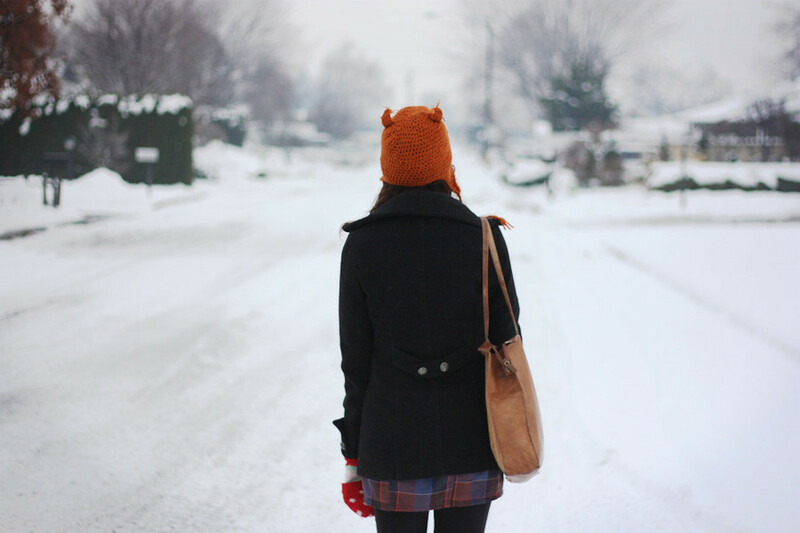 I am fighting it at the moment with my flannel dress, cozy sweater, super tall socks and tights, with a big knit hat in my purse just in case I need it. Yes, it was like 50 something degrees today but I don't care! It already feels like springtime here, and it never even got that cold in the first place. :/ I feel like I missed out on so much wintery fun! And your hat is THE CUTEST THING EVER! That owl hat is fantastic!!! I would pay big money for that. Your mom is one talented lady. oh my lord, i make owl hats as well! i saw your pictures and did a double take. haha. you are one cute lady! Sweet! Hat is great on you, lol! I like the summer here in the UK. (except when it rains, which is quite alot!!) It's never tooooo hot. But summer doesn't suit me. I'm not comfortable "getting the flesh out" and much prefer layering up in the Spring or Autumn. cuuuute photos :) and your hat suits you perfectly! glad you & patrick had some wintery goodness. I love your winter woolies! I'm so desperate for the summer. Warmth, please! I really had fun reading your post and looking at your pictures. And I must say that the owl hat made by your mom is soooOoo cute! 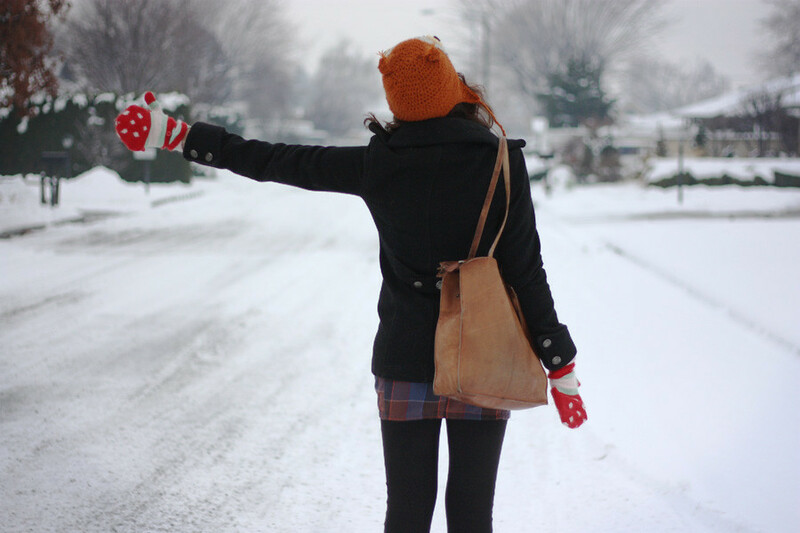 It seemed that you like winter. Me, I would love to experience it also. Since I'm living in a tropical country, we don't have four seasons. But this year I will be going somewhere, and I'm already excited for my first ever winter experience! its been snowing a lot this year. i am glad we got to enjoy it! What cute nephews! And you look adorable in that awesome owl hat! Aw your nephews are TOO cute! I just love these photographs. I actually love the Winter too & I'm not dying to see it go like a lot of people I know. I have to at least get some skiing in before that happens! It might be nice if if we had some above zero temperatures though..
well you can come up here to NJ and enjoy the weather as long as you'd like. hehe. Sounds like your Washington trip was wonderful!!!! Gorgeous photos from it. We have been having lots of blizzards here and I wish the weather would stay for quite a load of months myself. Hope you are well. i don't know who's cuter: you, those adorable boys, or your hats. Vanessa's mom says she will make you a hat for 20.00 or you can give Vanessa your email and I will send you the pattern. It is crochet and pretty simple to make.